Selling at Auction is an option that many people have never considered but the advantages can be enormous. Selling through Bosleys gives you the advantage of offering your items not just to one person but to thousands of collectors in nearly 50 countries throughout the world. These sales are advertised extensively in specialist magazines. Bosleys advertisements include a full page in each issue of Medal News, Medal Year Book as well as full back covers of the MHS journal 'The Bulletin', aviation magazine 'Flypast', 'Classic Arm' and 'The Armourer'. The international reputation for authenticity and accurate descriptions of all the items which appear in the large colour illustrated catalogue has built a vast clientele of eager collectors keen to buy your items with confidence. The catalougue is not only available in the printed format but is posted online on the website as well as reaching a huge international audience by being posted on the 'Antique Trade Gazette' website 'The Saleroom'. Bosleys also offer the advantage of regular sales and quick settlements of accounts. This could not be easier, items can be sent or brought by appointment to Remnantz, alternatively a fast economical overnight courier service (giving your items the least possible time in transit) can be arranged for you. Once received your items are covered by a specialist insurance policy and held in secure strong rooms. As soon as items have been examined suitable estimates will be placed on them for you in line with current market trends. Knowledgable staff can also help you place any reserve prices where appropriate. For large collections / high value items and under certain other circumstances, depending on location, it may be possible for for Bosleys to visit you to collect at a modest charge. If this method is used, Bosleys will collect the items and issue insurance cover there and then so your goods are covered in transit back to the saleroom and until sold. Once your goods are received by Bosleys, they are consigned to the next available sale. Often the items are unidentified and unresearched however Bosleys have probably the largest military reference library held by any saleroom and offer a free research service once items have been consigned; often this can uncover forgotten histories that can increase the value of your consignment. Great care is taken during the cataloguing to describe items accurately and if they are chosen to be illustrated, they are professionally photographed at no cost to yourself; these superb quality photographs show items to their full advantage. Bosleys hold regular sales. The large colour illustrated catalogues are despatched to international destinations up to three weeks prior to a sale, giving ample time for clients to peruse the catalogue. The sale is held in a fine Georgian manor house on the River Thames which lends the right atmosphere to your items which will be displayed and handled with great care by a team of knowledgeable porters and staff. Head-dress is displayed on stands, uniforms on mannequins, medals, badges and smaller items displayed in cases; security and care of items always of paramount importance. Bosleys operates a View, Buy and Clear policy, enabling busy potential purchasers to view and purchase your items in the least amount of time. Many of the overseas clients and others unable to attend take advantage of the free confidential postal bidding service or with technology introduced by Bosleys they can experience the auction by bidding live through the internet from the comfort of their home or office. Bosleys selling commission is 20% (plus VAT) on the hammer price, negotionable on high value items / collections. Unlike many other salerooms, Bosleys does not charge any illustration fee, research fee, unsold fee, nor is there a minimum fee per lot. For the consigning of important and large collections commission selling rates are open for discussion. A complimentary catalogue is supplied to vendors of consignments over £500. WITHDRAWAL OF LOTS. A Seller may not withdraw any lot from the sale without Bosleys permission. If either Bosleys or the Seller withdraw a lot, the Seller will be charged a fee equal to 30% of lowest estimate or highest bid received, plus any photography, advertising, publicity and research charges incurred with a minimum fee of £50 per lot. On occasion, individuals, families and institutions may seek a completely confidential disposal or require funds more swiftly than a scheduled public auction can deliver. Bosleys have much experience in these confidential sales, usually for higher value items and in recent times have brokered the private sale of several important swords etc. 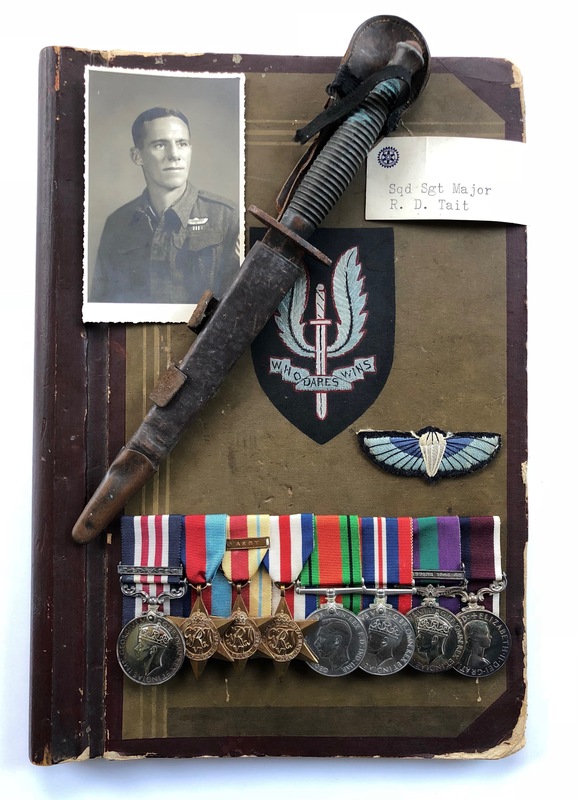 and medal groups which have included the Victoria Cross, Conspicuous Gallantry Cross and George Cross, to the delight of both the seller and the buyer. Bosleys are very fortunate to have a large and varied number of clients who are constantly seeking fine material in most spheres of medals and military antiques. Should you feel this method of sale mght be more suitable for you, please contact Steven Bosley or Bernard Pass, in complete confidence, on 01628 488188. To many collectors what will happen to their collection after their death can be an overwhelming worry. Often surviving relatives have no concept of the true value of a collection, what to do with it or where to dispose of it. Collections or individual items can be sold off at a fraction of their true value thus cheating dependents of funds that you have amassed over the years in the pursuit of your hobby. Bosleys are pleased to offer advice and can offer a service which puts your mind at rest and ensures that your collection realises the full value for your spouse or children. We have heard truly dreadful accounts of so called friends suddenly appearing and offering to buy the collection, or individual items in it, at a fraction of the true value. So we urge you, the collector, to consider now what you would like to happen to your collection in the years to come and assist your partner by explaining the various options and ensuring they are aware of who to contact should anything happen to you. You have spent a great deal of time and money assembling the collection so you should have the ultimate say in whet happens to it. We offer a totally confidential and personal service and regularly handle the sale of collections, both at home and abroad, in a manner which realises the best return for our clients and their families. Sadly we have had several cases where the collectors' wishes have been completely ignored by some distant relatives so we urge you to make your wishes known and formalise things by putting them in your will.